A regional daily has relaunched with added features content after a “makeover to give it a fresh new face”. 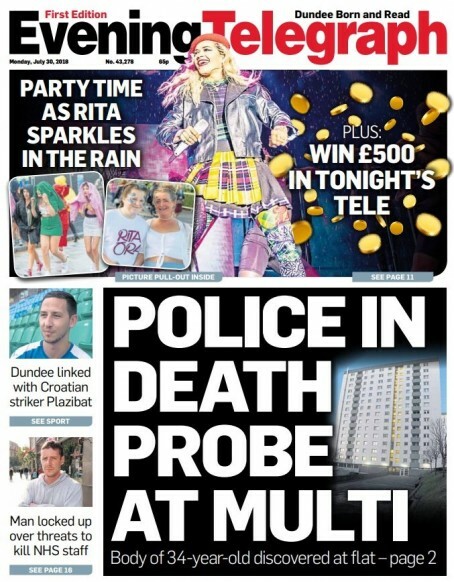 The Dundee Evening Telegraph has announced the revamp, which has seen it add dedicated weekly sections for health and family, as well as fashion and beauty. A revamped ‘Going Out’ section will also be included in Friday editions of the DC Thomson-owned title. The new look Evening Telegraph was introduced from its 30 July edition, pictured, and retains its cover price of 65p. In a piece announcing the revamp, editor Andrew Kellock said: “Dundee born and bred – four words which sum up the ethos of the Evening Telegraph. “And while your favourite newspaper has had a makeover to give it a fresh new face, some things won’t be changing. That’s the deck chairs rearranged, then.